No two properties are alike. For almost two decades I have concerned myself with all kinds of real property of varying usage structures and have, especially during the post reunification years, witnessed both joy and sorrow as a service provider and advisor. As an industrial engineer for construction, an appraiser for property valuations and a property broker, I have been able to embrace highly diverse topics and thereby develop my own unique solution concepts. 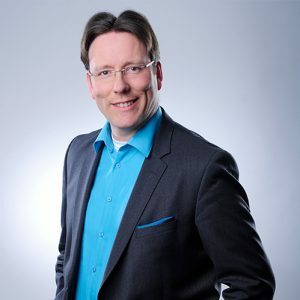 Since the formation of ARCADIA Investment GmbH in 2012 and the establishment of our “Project Development” specialist team, I have been able to use my know-how and extensive experience as a project developer towards internal development activities as well as being available as a service contractor, also to third parties. In doing so, my team and I offer a comprehensive range of functions beginning with the acquisition of a piece of land right up to the turn-key handover of the project at the highest quality standards. Project development is the ultimate discipline of all property services and for this reason – our profession! Property forms the foundation of all spheres of life: the single-family home as the centre of life, the factory or office as the workplace, the doctor’s surgery in the medical centre for health questions, the supermarket for shopping or the hotel for a longed for holiday. And for precisely this reason, the requests and performance requirements surrounding property are so diverse, unique and rich in variety. No two properties are alike. This likewise implies a great challenge as it demands a broad knowledge base, a treasure trove of experience, a team with professional expertise and a goal-oriented work approach in order to precisely master these ever-changing challenges and tasks. The four pillars underlying the ARCADIA logo were not randomly selected: They stand for our four service divisions in which we offer you the highest level of professionalism. Hardly any team has collectively implemented so many project developments and so many influential retail establishments in Eastern Germany as we have during the past two decades. We have developed a very specialized know-how, particularly in our parking sector, which makes us unparalleled throughout Germany. We use this professional expertise for our own activities and also make it available to our partners and external property owners. In this respect all parties involved can expect significant added value as we always approach your and our own property assignments with the same amount of focus and intensity. Your trust is the bedrock of our performance!